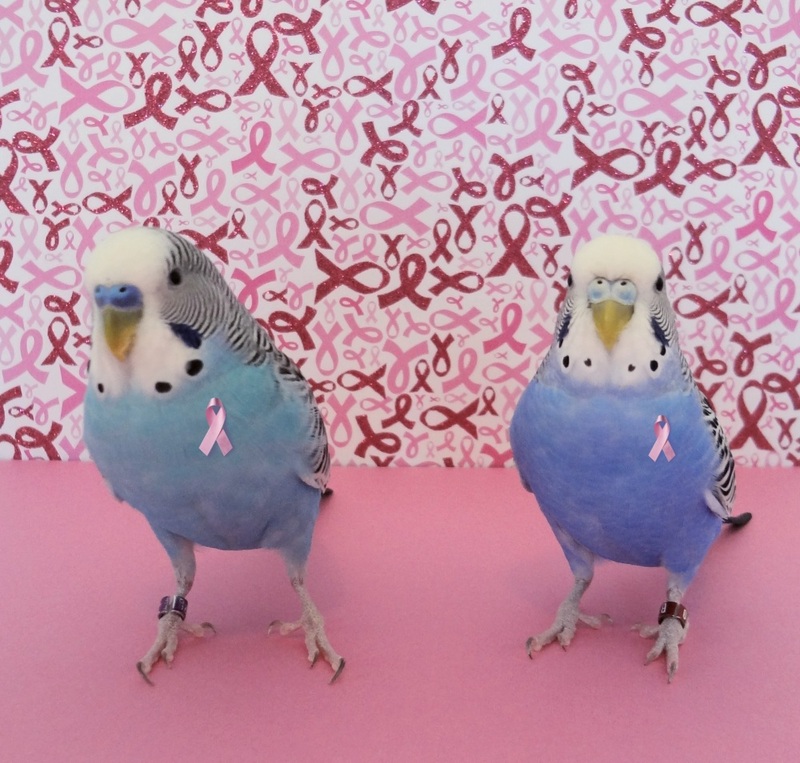 This entry was posted in Cooper, Dewey and tagged breast cancer awareness month, breast cancer budgies, budgie, Cooper, Dewey, parakeet, pink ribbons by Michelle M.. Bookmark the permalink. Wow….I bet that was a pain, not only cutting out those tiny ribbons, but getting the birds to stay still long enough to get them on them. 🙂 Good job!